Cynoglossum amabile Stapf & J.R.Drumm. This species is accepted, and its native range is Central Nepal to Central China. It is has environmental uses. Annual or biennial herb 0.3–1.2 m. tall, branched from the base; rootstock ± simple, 6–10 cm. 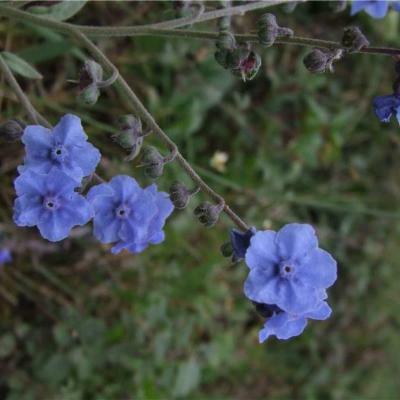 long; stems woody at the base, densely adpressed velvety hairy, scarcely scabrid, ± ridged in dry state. Cauline leaves numerous and ± closely placed, narrowly oblong to lanceolate, 2–20 cm. long, 0.4–4 cm. 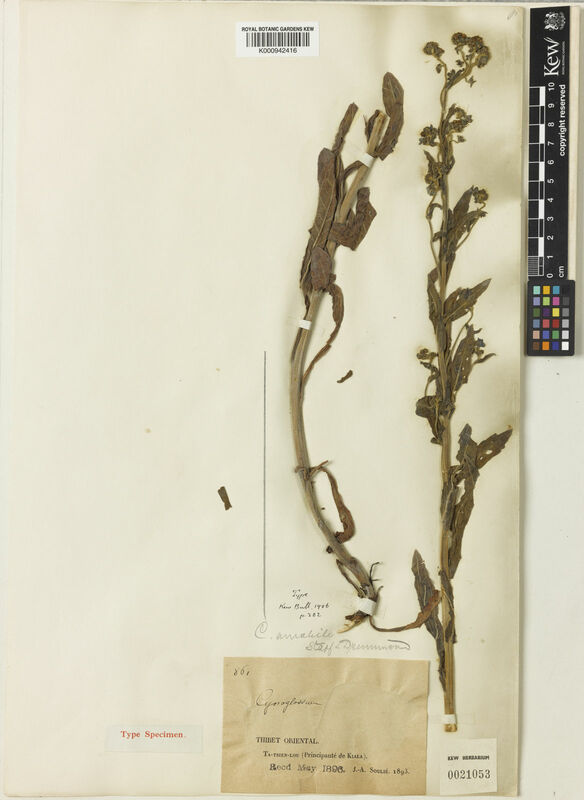 wide, acute at the apex, sessile or ± amplexicaul at the base, densely adpressed softly velvety hairy on both surfaces; nervation impressed above, raised beneath, grey-green when dry; basal leaves up to 9 cm. long, 1.5 cm. wide with petioles to 4 cm. long. Inflorescences terminal and axillary, forming a compound inflorescence ± 10 cm. long in young state, extending to 35 cm. 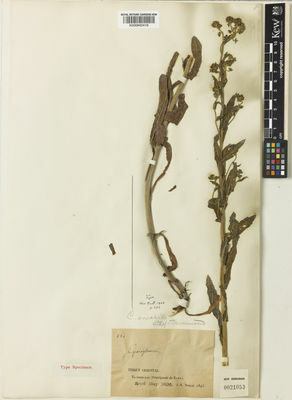 ; cymes 2-branched, each branch eventually 5–10 cm. long; pedicels ± 2 mm. long, becoming longer and deflexed in fruit, up to 4 mm. long. Calyx ± 3 mm. long, densely pubescent; lobes oblong-elliptic to ovate, 2 mm. long, just over 1 mm. wide, becoming more ovate and somewhat accrescent and 3 × 2 mm. Corolla intense blue, the limb ± 1 cm. wide; tube 2.5 mm. long, the throat with retuse finely papillose bosses; lobes rounded, ± 4 mm. diameter. Anthers pale blue, 1 mm. long, shortly protruding between the bosses. Style 2 mm. long, narrowed at the apex. Nutlets whitish, depressed-ovoid, 3 mm. long, 2–2.5 mm. wide, covered all over with short glochidia, thickened towards the base, the outer ± forming a marginal serrated crest. Margins of cultivations, forest clearings, grassland on hillsides, etc. ; clearly an escape from gardens but now naturalised; 1350–1900 m.
Alt. 1088 - 2750 m.
Naturalizada en Colombia; Alt. 1088 - 2750 m.; Andes. König, J. & al. (2015). 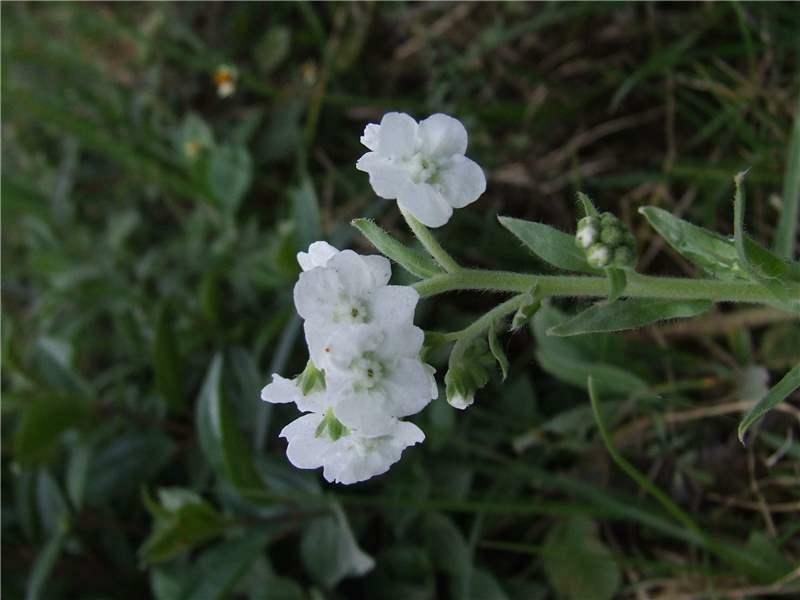 A revision of the genus Cynoglossum L. (Boraginaceae Juss.) 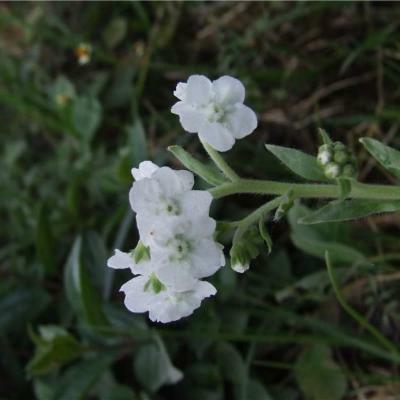 in Nepal and notes on the widespread Asian species Phytotaxa 224: 1-28. Ruengsawang, K. & Chantaranothai, P. (2009). 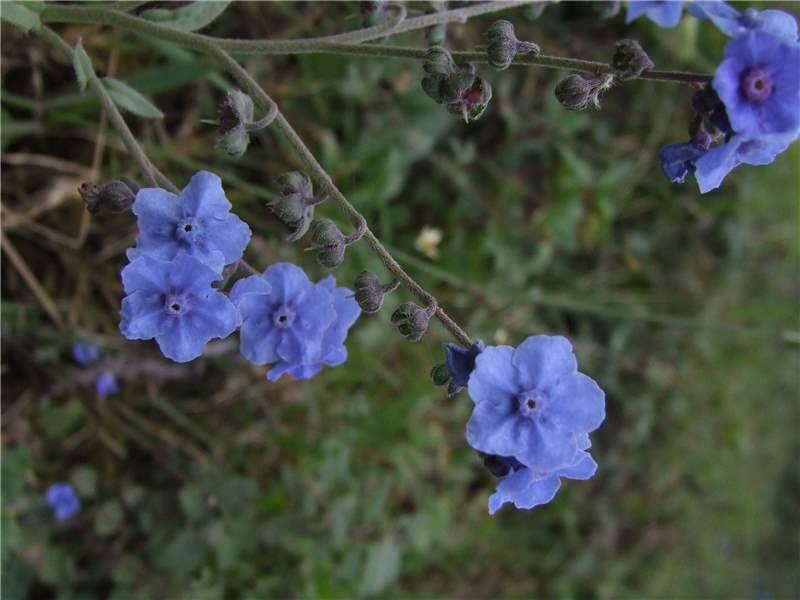 A revision of Boraginaceae subfamily Boraginoideae in Thailand Thai Journal of Botany 1: 89-101. Ariza Espinar in Kurtziana 17: 145, fig. 1 (1984). Meikle, Garden Flowers: 310, fig. 97 (1963). Brand in A. Engler, Das PflanzenreichIV. 252 (78): 135 (1921). Stapf & Drummond in Bulletin of Miscellaneous Information, Kew 1906: 202 (1906).